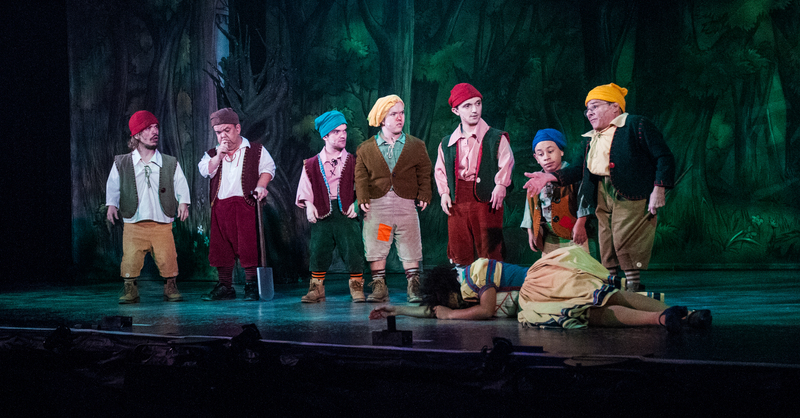 It’s off to work they go for Snow White and the Seven Dwarfs, as Evolution Pantomimes packs another festive punch at Croydon’s Fairfield Halls. For the fourth year running they have returned with another production and Quinn Patrick is back again to take on another pantomime dame, this time in the form of Nurse Nellie. 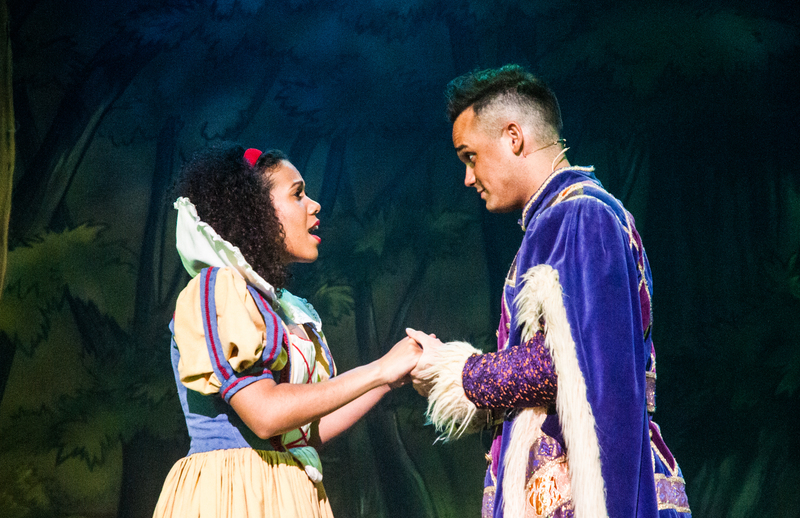 Gareth Gates takes on the role of Prince Charming and he certainly gets into the pantomime spirit, a permanent grin on his face and gags aplenty. He definitely charms rising West End star Whitney White, who plays the Princess Snow, and the pair deliver a treat for Frozen fans in the audience. The wicked Queen Ivannah is safe in Siâni Owen’s hands, who not only keeps the crowd booing and hissing, but manages to earn a magnificent roar with her fantastic soprano belt. 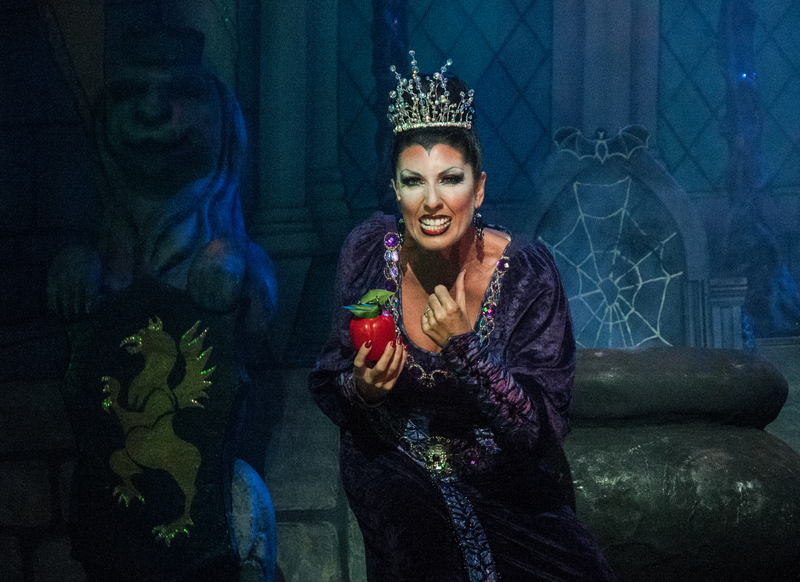 No Wicked Queen would be complete without her magic mirror, and this one comes in the form of a Simon Cowell lookalike who rarely stops looking at himself. 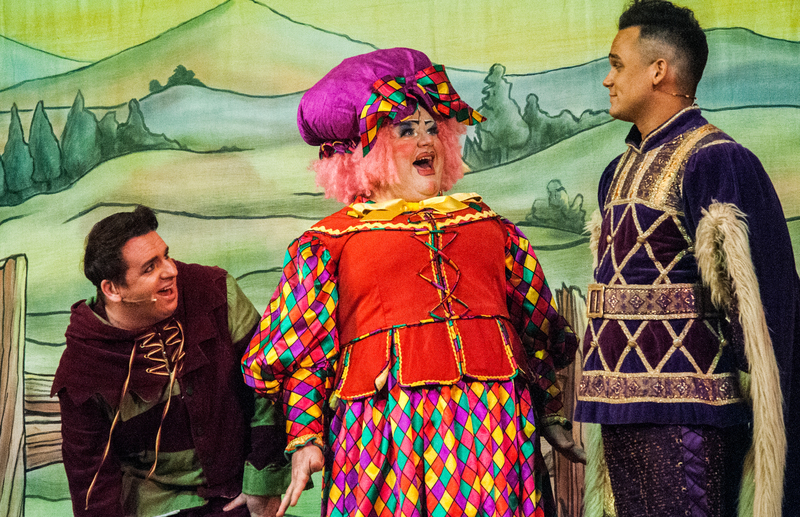 The pairing of comedian Jack Glanville as jester Muddles and Quinn’s Nurse Nellie provides brilliant humour throughout the show and the seven dwarfs also add to the constant laughs. Unenthusiastic Brian Wheeler as Brian seemed a particular favourite with the adults, while newcomer and free runner Kain Francis as Loopy was a definite hit with the children. From Frozen tunes to Madness medleys and Elvis impersonations, the crew at Croydon have done it again to produce a pantomime that really does entertain the whole family.